With this classic volume, Beard redefines the Western-and male-centric legacies of Ernst Gombrich and Kenneth Clark. The reader can see a picture of each and every piece the author mentions without even having to Google them. Beard cautions us from thinking of art and architecture from the context of a museum and asks us to engage with it as the people of the time did when these objects were created. But making the divine visible in the human world has never been simple. How Do We Look is short, but I was still surprised at how little information it actually contains in contrast with purple-prosed speculation. 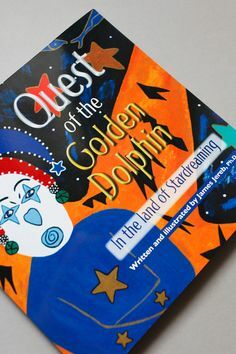 This book focuses on the question of who are we when we are looking at art, not only how do we see art, but how does art reflect our gaze. This read had all the same post-seminar learning buzz of yesteryears, leaving me all kinds of nostalgic and a little heartbroken. Authors and readers are far more conscious of the political acts entailed in making, viewing and interpreting art, and particularly in this domain, of the hazards of the orientalist, patriarchal and colonialist gaze. The constant search for the proper balance of direct mimesis with more hagiographic celebrations is explored across several civilizations and time-periods. The Eye Of Faith is in two parts. These pieces push, pull, establish their places in the wider discussion of Christian doctrine. For the last section, Beard writes about Islam. Its a funny little bit but not the only thing that makes up this prologue to the second section. 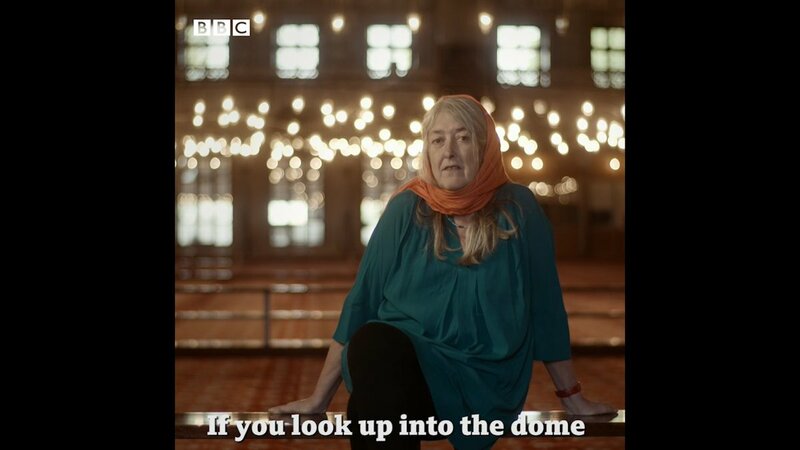 In Part Two, Mary Beard turns to the relationship between art and religion. In one of the last chapters, Beard brings us to a particularly curious case: the Kennicot Bible. For readers with a broader interest in international history, it also offers a crucial example of how a medium sized power has acted in the international environment. 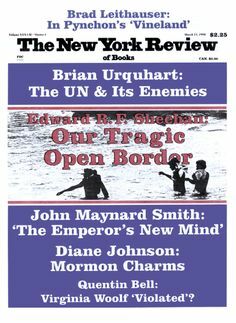 Shortly after the 11 September 2001 attacks on the World Trade Center, Beard was one of several authors invited to contribute articles on the topic to the London Review of Books. Why have they sometimes been so contentious? The Olmec heads get to kickstart the book. . 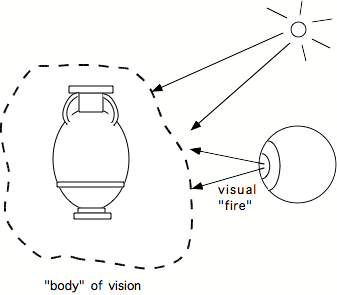 Even taking a look at something as simple as Greek pottery can demonstrate the power of art. Mary is a professor of classics and has world-wide academic acclaim. At the heart of those debates lies the big question of how people — from prehistory to the present day — have depicted themselves and others, both human and divine. The Look of Loss chapter continues the focus on the Greeks, Romans, and Egyptians and the naturalistic portraits found on their coffins. Unlike most books, I was able to see a picture of each and every piece the author mentioned saving me the time of looking them up online. Civilisation is a process of exclusion as well as inclusion. She asks us to consider when does representation of god or gods become idolatry; or whether images of human figures, such as saints, distract the viewer from their concentration on the divine. Even when she discusses Olmec statues or Ajanta Buddhist cave art, she devotes a lot of time to how Western archaeologists and art historians viewed these works. 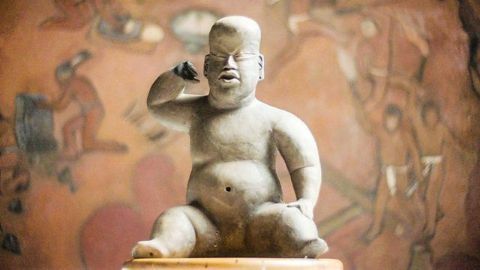 In Part One, she examines how the human figure was portrayed in some of the earliest art in the world - from the gigantic stone heads carved by the Olmec of Central America to the statues and pottery of the ancient Greeks to the terracotta army of the first emperor of China. She is regularly on television, written some best selling books on ancient Rome, and also more recently, and disappointingly been the target of some pretty crappy internet trolling. For instance, many of the beautifully painted greek ceramics were the result of a commercial industrialized process, something that I found surprising. In other words: How Do We Look? Using numerous examples of ancient figurative art from the Romans, Greeks, Egyptians, Olmec, and Chinese she tries to find the role of the viewer. Beard is a professor of classics at Cambridge University but this is not an academic text as it is written to accompany and expand on the television series. She is also arguably more attuned to the politics of representation than was Clark, although this is to be expected given how debates about culture, politics and representation have evolved in the intervening decades. And, as the broken statues remain in the Cathedral, they have become a new type of religious narrative — one about violence and conflict. The book's attention changes course to tell us about the Terracotta Soldiers in China. How We Look is not always as in-depth as I would have liked, but Beard's works tend to leave the reader inspired to begin their own explorations. Unfortunately, it is very Western-centric although Beard says she tried not be. This book compares representations of nuclear power in popular media from around the world to to trace divergences, convergences, and exchanges. Readers are probably aware of the Taliban blowing up the Bamiyam Buddhas in Afghanistan or the destruction by Isis in the ancient city of Palmyra. The ease with which she moves through these disparate contexts, all the while asking questions about the reception and significance of the images is impressive. I wish it had been more in-depth, hence the lower rating, because I would like to learn more about many of the conclusions drawn. However, the book fails to dig The premise of this book is intriguing. I'll take this book home with me and see how I like it. When you make a lasting impression of your fellow humans, don't you want to make his image at his best, and for Greeks, that meant when the person was playing sports, and they played games naked. From there, we explore the unprecedented art of the Greek revolution, where beauty and the perfection of the human figure set a benchmark for all Western art to come, and profoundly influenced the flowering of human sculpture in Rome. 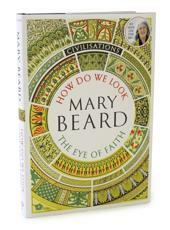 Mary Beard, an only child, was born on 1 January 1955 in Much Wenlock, Shropshire. It can literally impact the physical world as humans create visions based upon their experiences and perceptions and imaginings, and Beard takes her reader through the centur How Do We Look offers the reader a question well worth exploring: how do humans use art to explain how they think and feel about themselves. Beginning with the Jericho painted skulls from 10,000 years ago, and the extraordinary figures of Ain Ghazal. The end of the book gives a list of resources for readers interested in learning more about the specific works of art and locations, but lists nothing for people who want to research more examples of the themes discussed. Throughout this story, she is concerned not only with the artists who made images, but with those who have used them, viewed them and interpreted them. The monument is adorned with a frieze of sculptures representing its original Hindu images which are combined with those of the royal Khmer dynasty who built it. 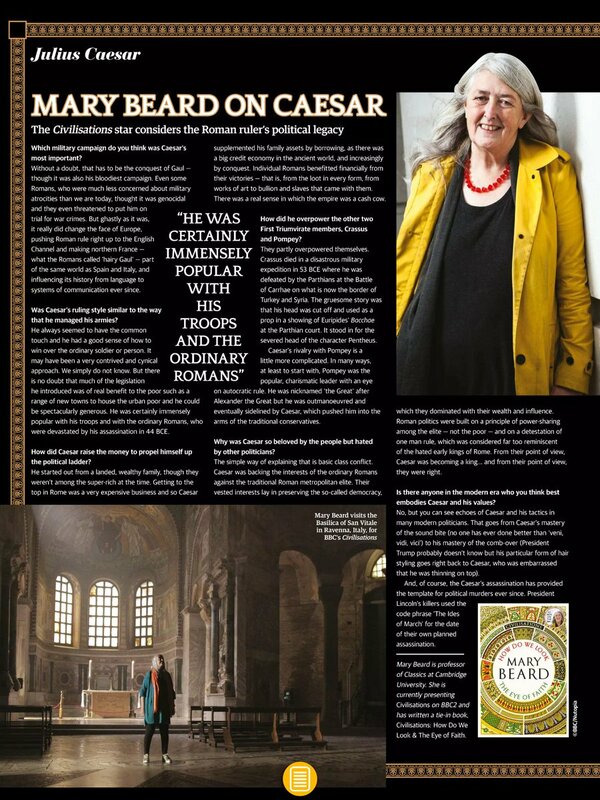 Classicist Mary Beard, who had written and presented two of the original episodes, was nearly left on the cutting room floor entirely. An interesting perspective I had not thought of is that some overcrowded murals are just that, and were equally hard to understand for then present onlookers as for us now, to invoke serious religious reflection and introspection. He observed most of the surviving artifacts, identified their makers, and traced the evolution of the styles and designs of the weapons and tools, usually from European origins. She has world-wide academic acclaim. However, the book fails to dig deep enough to make a point; it's just filled with interesting trivia. In this book, we are treated to writing on a number of notables artworks. 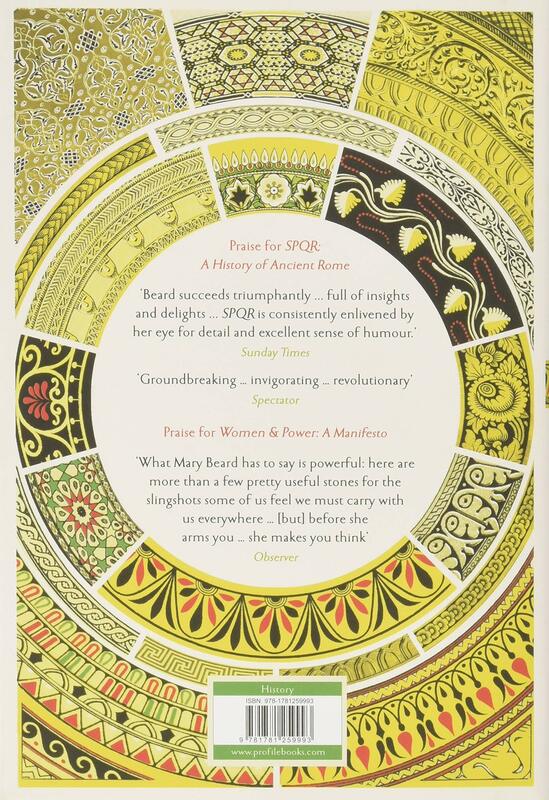 By the way, are you the same Mary Beard who presents episodes of Timeline - World History Documentaries? So the statues are naked. It describes and discusses hundreds of iron artifactsrifles, shotguns, hatchets, axes, knives, traps, and miscellaneous toolsused by the mountain men from the early 1800s to the mid 1840s.